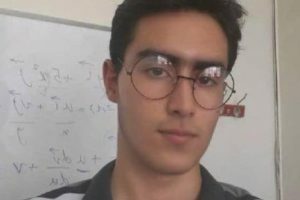 Editor’s Note: The following account is by Faran Khavan-Yaghma, a Baha’i student recently expelled from a university in Mazandaran because of his religion. This account is provided below in translation by Iran Press Watch. In the name of truth and justice! After my Numerical Analysis class on Saturday, March 7, 2009, our esteemed professor read everyone’s name on the class register, but I realized that my name was no longer on his list. I went to the university’s main office and asked for an explanation. They responded that my record had been closed and marked “Termination of Education”. However, he continued, “To get a clarification on this issue and learn the details, you must refer to the deputy administrator of this office, as he will be able to tell you the reason.” I went to the deputy’s office, but apparently he was in a meeting and unable to speak with me. Therefore, it was agreed that I would return the following day for this discussion. Next day I went to the same office to see the deputy, but once again he was in a meeting and unable to meet with me. I waited from 9 AM to 12 noon for his meeting to end. Finally, we met and I inquired about the situation and reason for what I had been told at the campus. It was interesting that he had no idea about any of these events, and asked for my name and particulars so he could pursue the matter. He then contacted others in the office to advise the deputy about the reason for my expulsion from the university. Eventually, despite my efforts to pursue the matter, on Saturday, March 14, 2009, according to the deputy administrator of the university’s central office, the Organization for Evaluation and Assessment issued formal instructions for my dismissal based on the reason that I am a Baha’i. Yes, indeed. 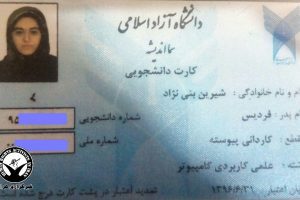 Solely for being a Baha’i, after 3 years of education and the completion of 6 semesters in pure mathematics, I was dismissed from Mazandaran University. A society with a slogan that calls for unity of hearts, a government that aims at increasing friendship and kindness among souls, whose primary pillar is based on the objective of creating a society of compassionate justice, and which (according to what has appeared in the nation’s Constitution and the Universal Declaration of Human Rights) believes in freedom of belief and speech — how soon has it forgotten the light of justice lit by Imam Ali and has instead unsheathed the sword of tyranny! Is this the meaning of freedom of speech and belief? Is this the meaning of justice, compassion, kindness and unity among hearts? Is this the meaning of service in our society? Is this how this society intends to establish justice and equity in its midst? 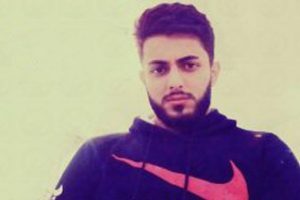 Lights out at another university in Iran. What a shame! This University should rename itself to University of Shamelessness & Ignorance of Science. 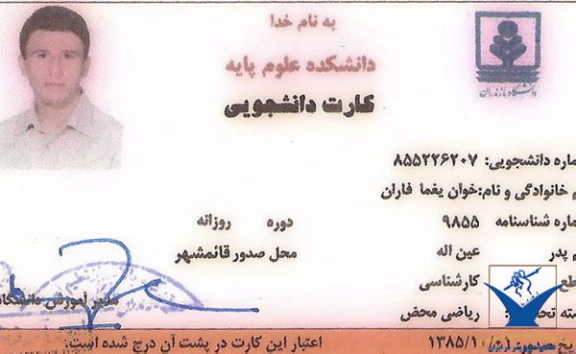 جمعی از دانشجویان دانشگاه سهند تبریز : متاسفانه در طی سه سال اخیر شاهد تشدید نگاه تبعیض آمیز مسوولین جمهوری اسلامی به جامعه بهاییت ایران بوده ایم. بازداشت اعضای ارشد این جامعه مذهبی در روزهای آغازین انقلاب و سی سال بی خبری از سرنوشت آنها همچنین سالها ممعانت از ورود آنان به دانشگاه ، عدم اجازه اشتغال در مناصب دولتی و فقدان امنیت آنان، بازداشت چند باره مسئولان مذهبی آنان در طی سه دهه نشان از عزم راسخ مسوولان در برخود و سرکوب این بخش از جامعه ایرانی دارد. در تکمیل این برخوردها شاهد تصفیه اندک دانشجویان بهایی از دانشگاهها به دلیل اعتقادات مذهبی خود و به قصد عقب نگه داشتن آنها از پیشرفت و همچنین ممانعت از تصدی مشاغل دولتی می باشیم که خود گواهی دیگر بر وجود روندی سیستماتیک و هدفمند در برخورد با جامعه بهایی ایران دارد. ما جمعی از دانشجویان دانشگاه سهند تبریز علاوه بر محکوم نمودن تمامی برخوردهای فراقانونی با این جامعه مذهبی که مخالف نص صریح اصل 3 بند 3 و بند 8 و همچنین اصل 14 قانون اساسی ( تسهیل و تعمیم آموزش عالی و مشارکت عامه مردم در تعیین سرنوشت سیاسی ، اقتصادی ، اجتماعی و رعایت حقوق انسانی غیر مسلمانان ) و نیز ماده 2 بند 2 میثاق حقوق اقتصادی و فرهنگی ( عمومیت آموزش عالی ) سازمان ملل متحد می باشد ، اخراج سه تن از همکلاسیهای خود (سینا دانا ، سماء نورانی و فراز وزیرزاده) را محکوم نموده و از مسوولان مسرانه خواستار تجدید نظر در نگاه خود به این بخش از جامعه ایران می باشیم و امید داریم که در سال جدید در کنار همکلاسان بهایی خود فارغ از هر مرام و مسلکی در جهت پیشرفت و بهروزی میهن خویش گام برداریم. the University of Mazandaran who are standing up by the power of truth and scientific reason to protect their brothers and sisters against the ignorants who think they can cheat the students like the people they normally associate and who trust them. This students are an example for all the students in the world. Their detachment and contribution to the common good of the science in Iran will be remembered by civilized Iran.